We are really excited to be supporting FUTURE: PropTech again this year …it’s almost like the countdown to Christmas! 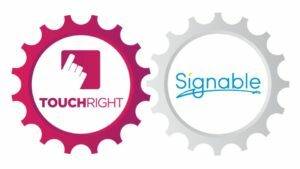 Our presence at the event is going to be bigger and better than ever as we’re joining forces with our wonderful integration partner Signable. Be sure to join us on Stand 24 where we’ll be demonstrating how working together and connecting proptech systems can strengthen your operations and bring a host of benefits to agents and provide increased value for landlords. Now in its 5th year, FUTURE: PropTech 2019, continues to grow in popularity. Last year it attracted over 1,600 delegates from across 30 countries, rightfully earning its rank as the world’s number 1 proptech event. Over 2,000 delegates (including leading property companies/agents, innovators, brokers, tech venture capitalists, media and business investors) are expected through the doors of the Business Design Centre in London this year. We’re certainly gearing ourselves up for a very busy day! Running with a theme of ‘open collaboration’ (which we wholeheartedly support!) the event kicks off on the 13th May with a variety of off-site events, proceeded by the main conference and exhibition the following day (Tuesday 14th). Two main stages will host 100+ speakers discussing and debating topics such as global trends, industry challenges, digital skills, cyber security and more! 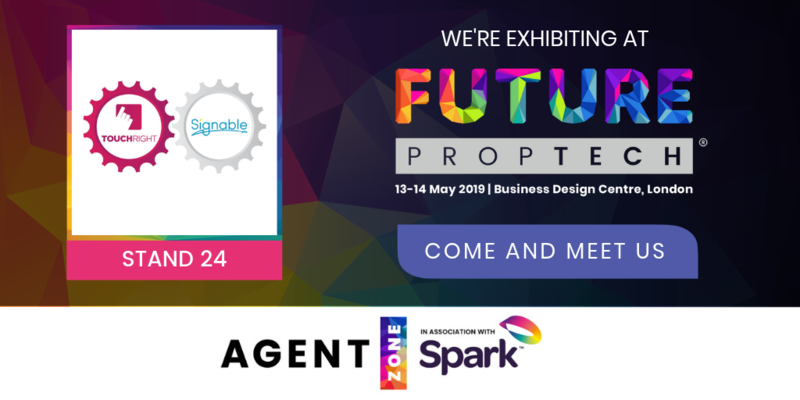 You’ll find the TouchRight and Signable stand (no’24) in the The Residential Agent Zone where 80+ proptech/tech solutions will be on display. We’ll be showcasing and demonstrating our app and dashboard, including our latest software updates and new features such as Lone Worker Protection and live Tenant/Landlord Comments. Our comments feature is a quick, easy and secure way for you to gather useful and informative feedback from landlords and tenants. Ideal to minimise, resolve or evidence disputes between parties! You’ll also find out just how easy it is to obtain eSignatures for your TouchRight reports through Signable, the UK’s leading eSignature software provider. Connect your TouchRight account to Signable for a fast, safe and secure way to capture digital signatures. We’re working together to make property reporting even easier for you! We can’t wait to see you at FUTURE: PropTech 2019! ← TouchRight – Supporting ARLA Propertymark Agents for 7 Years!